Gunmen have killed 20 construction workers in Pakistan's restive southwestern province of Baluchistan, shooting them at point blank range after identifying they were not local, officials said Saturday. Baluchistan is plagued by violence, with separatists seeking greater control over the province's rich oil, gas and mineral resources, and gunmen have previously targeted outsiders seen as settlers. The Baluch Liberation Front (BLF), an armed group that wants the province to be "liberated" from the rest of Pakistan, claimed responsibility for the incident. 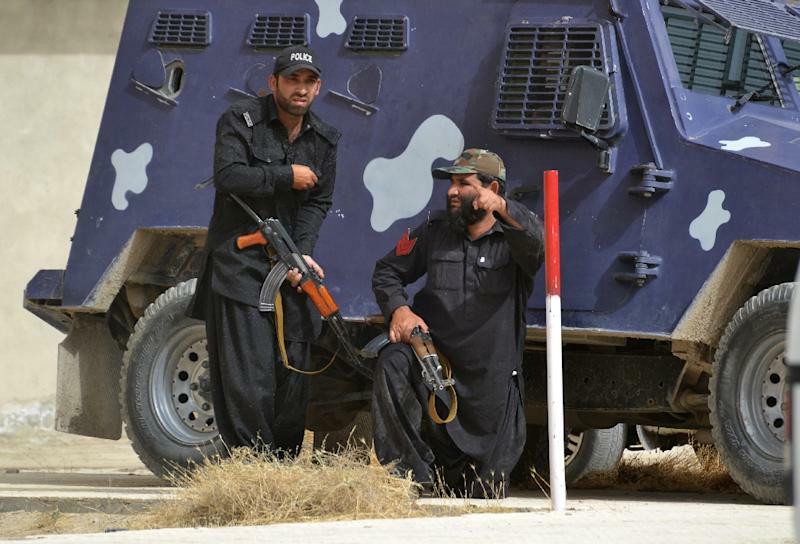 "Gunmen stormed the camp of labourers in Gokh Don area of Baluchistan late Friday night and killed 20 labourers," senior police official Tariq Khilji told AFP. He said those killed were all from outside the province -- 16 of them from Punjab and four from Sindh province. 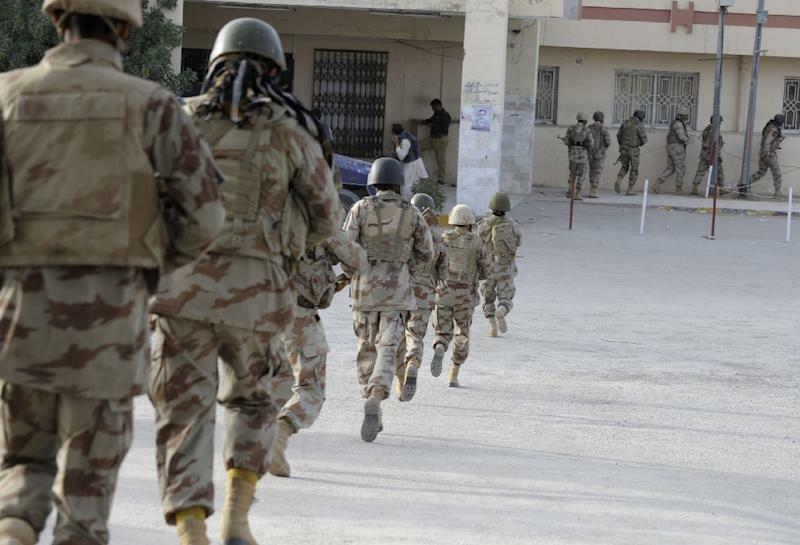 The incident, which occurred around 1,050 kilometres (650 miles) southwest of Quetta, was confirmed by Akbar Hussain Durrani, a senior administration official in the province. "The labourers were working on construction of a small local bridge," he said. Hussain said some of the labourers reported being woken from their sleep by the sound of gunshots and screams. "They had lined them up and shot them at point blank range after identifying their identity," he said. Hussain said paramilitary troops were guarding the labourers but fled when confronted by a large number of armed attackers. A spokesman for BLF said the group would carry out more attacks until the province was given independence. "We will continue our fight against Pakistani occupation until (the) liberation of Baluchistan," Goran Baluch told AFP. BLF became known for the kidnapping of American UNHCR worker John Solecki from Quetta on February 2009. Solecki was later released on "humanitarian grounds". Sarfraz Bugti, the provincial home minister, has ordered the arrest of the police and paramilitary soldiers who were meant to be guarding the laborers, he told reporters in Quetta. "I would have raised my head in pride had any of the policemen or paramilitary soldiers died or been injured while resisting the attack, but I feel ashamed to say that they fled," he said. He added that army helicopters had been dispatched to the area to transport the dead to their home towns. "I would request that the government extend the ongoing military offensive against religious militants to ethnic militants too," he said referring to the military operation against Taliban insurgents in the country's restive northwest. "I strongly condemn the action of Baluchistan Liberation Front, they should be ashamed to call themselves nationalists, they are terrorists and the group's leader, who happens to be a doctor, is an insult to the profession," the minister said. Dr Allah Nazar Baluch, chief of BLF, quit his medical career to take up arms against the state. Human rights groups allege security forces are guilty of abuses, and are responsible for picking up non-militant separatists -- including academics and students -- torturing them and dumping their bodies on the streets. The security services deny the allegations and say they are battling a fierce rebellion in the region. On Thursday, one of Pakistan's top universities in Lahore came under fire after a debate on rights in the restive province was called off apparently at the behest of intelligence agencies. Resource-rich Baluchistan is the largest of Pakistan's four provinces, but its roughly seven million inhabitants have long complained they do not receive a fair share of its gas and mineral wealth. Pakistan accuses neighbouring India of funding and arming the rebels -- a charge some analysts say is payback for Pakistan's interference in Kashmir.